Robert’s professional mission is to help make our communities safer by enforcing the rules and standards that protect all of us, and our families, and by holding those accountable that choose to violate these rules. For more than a decade, Robert Norfleet has fought against the insurance companies that defend those doctors, hospitals, and nursing homes that endanger the health and safety of their patients. Robert also represents victims of catastrophic personal injury and wrongful death, including those that have been severely injured by negligent and reckless drivers, dangerous conditions of property, inadequate security, and defective products. Unfortunately, the health care industry does a very poor job of enforcing the patient safety rules and often put profits over safety (see link). In fact, very few health care providers ever face any discipline by state licensing boards, despite being sued multiple times for violating medical standards of care. Lawsuits are the only deterrent that gets the attention of the health care industry and helps improve patient safety. Each day Robert works to help make the health care industry safer for all of us by enforcing patient safety standards and holding health care providers accountable for violating these rules. 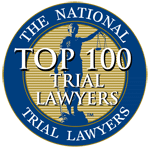 Robert has consistently been recognized as one of the top trial lawyers in the Midwest representing victims of negligence. He has been named a Super Lawyers Rising Star for both Missouri and Kansas by Super Lawyers Magazine every year since 2015 (an honor given to more than 2.5% of attorneys in each state). 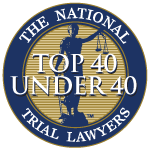 The National Trial Lawyers recently named Robert to their list of Top 40 trial lawyers under the age of 40. Every year Robert consistently obtains some of the largest verdicts and settlements for his clients in medical malpractice and catastrophic personal injury. He currently holds the record for the largest automobile accident jury verdict in Platte County in the last 8 years and the largest motorcycle accident jury verdict in Kansas City in the last 10 years. Unlike the lawyers hired by the insurance companies, who have no choice but to represent their insureds, Robert’s practice allows him to choose the people he represents and the cases he wants to pursue. Robert will devote countless hours to each potential case, thoroughly reviewing the medical records, researching the issues in the case, and consulting with nationally renowned experts in the relevant fields. Robert believes in treating every client like family. Those clients whom he represents will receive thorough and meticulous attention to detail, zealous advocacy, and a personalized approach to their case. If you or a loved one has been harmed by the negligence or carelessness of another, please give Robert a call today for a FREE CASE EVALUATION. 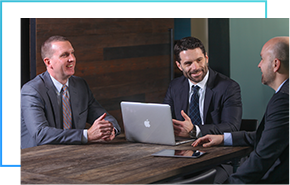 Named a “Super Lawyers Rising Star” by Missouri and Kansas Super Lawyers Magazine 2015, 2016, and 2017.